One way to help you figure out what you should be looking for in a home is the price. Sometimes people find it more beneficial to&nbsp;only see the homes that you can afford, even online. For people who want to house shop this way, Realtor.com has a new tool that just may be the perfect solution. 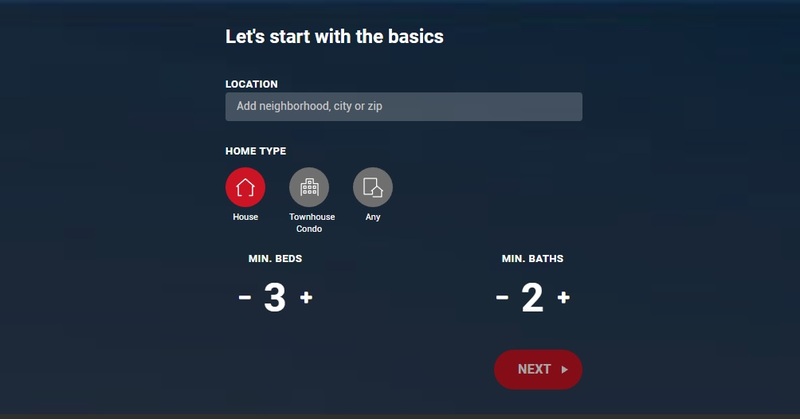 The "Price Perfect" tool allows you to input the location you're looking in, the type of house you&rsquo;re hoping to find, and your minimum requirements for bedrooms and bathrooms. The tool shows what the average home within your criteria costs, in the area you're looking, and approximately what your monthly payment will cost. For example, putting in the zip code for Monaca, Pennsylvania, with a three-bedroom, two-bathroom minimum, renders a search result that shows a median home price of $183,900 and seven available homes*. Changing your "must-haves" to add another bedroom or bathroom will make that median price spike. There are also "ways to save" options that will either narrow your search or expand your results by adding five miles to your location. On the next page, you'll see approximately what your monthly payments will be in mortgage, property tax, and home insurance. Once you're ready to find that perfect home, make sure you choose one of RE/MAX Select Realty's trusted realtors. Find a list by clicking here. *This data was for Tuesday, April 8 and may have changed since this article was written.